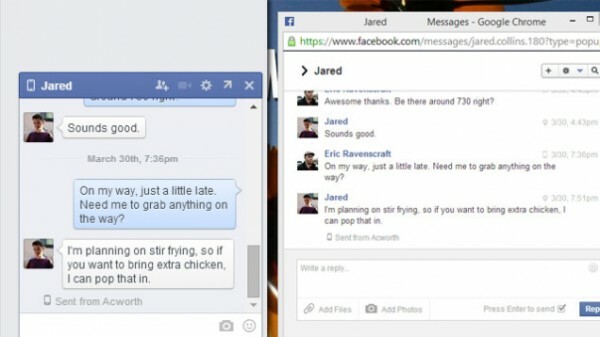 For some reason or another, many people use Facebook chat as their main means of communication as a spiritual successor to Windows Live Messenger. There’s a huge problem with this though; You need to be on the Facebook site to actually use Facebook Messenger on the computer. This leads to unnecessary time on Facebook, stalking people and surfing your classified groups all while waiting for your chat partner to reply. Now, thanks to a Chrome extension called Facebook Chat Pop-Outs, it allows you to add a “Pop-Out” button above all your Facebook chats allowing you to open it in a dedicated window ala Google Hangouts. Now if you’re a person who opens a crapload of tabs on a daily basis (The Lowyat.NET offices have plenty of those), this will be the extension for you.